Capcom charging money for respawns in new Resident Evil? Capcom used to be the go to publisher for insanely terrible anti-consumer practices, and basically popularized the idea of locking on-disc content behind a paywall. They haven’t been too bad in recent memory, but that could change at any moment with any one of their new titles. Take Resident Evil Revelations 2, for example, which has some odd micro-transactions. 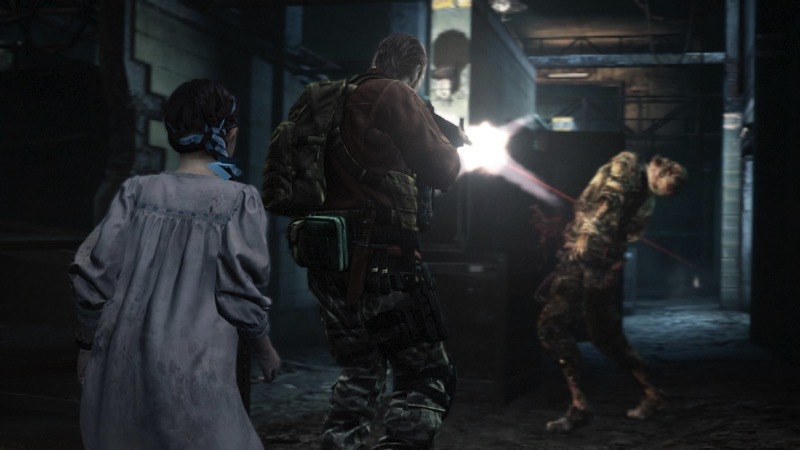 Revelations 2 sparked a massive debate on the internet last night, after it rumour suggested that Capcom would charge players for checkpoints and respawns in their episodic sequel. Considering Capcom’s track record, it’s nothing something anyone could immediately dismiss, but Kotaku reached out to the publisher for some clarification. And it’s all a little confusing. Firstly, the main Revelations 2 campaign will not feature any micro-transactions, and have normal checkpoints like every game on this earth should. The included Raid Mode however, a fan favourite from the first title, will be hindered by either your dedication or depth of your wallet. Respawns in this run-and-gun side mode will be determined by Blue and Red crystals – one of which you can whip out your credit card for. Both crystals are used for continues in the arcade-like mode. Blue crystals are earned by completing daily challenges, while red ones are bought using real money. They both function in the same way, with the game prioritizing hard earned blue ones over red. But if you’re wanting to get more from a mode that’s included in a game you’ve already paid for, you’re going to have to dig deep in your pockets for some change. It’s identical to systems used in free-to-play phone games, not unlike Candy Crush. The issue here is that each episode of Revelations 2 costs $5, and purchasing the full, retail collection comes in at $40. It’s quite ridiculous that Capcom expects you to either grind or pay to have any sort of convince in a mode that should really be included with the entry fee. Or maybe Capcom is just trying to make the entire thing really feel like a exploitative, money grabbing arcade mode – in which cases their hitting the nail right on the head. Resident Evil Revelations 2’s first episode is out next month. Make sure raid Mode isn’t your main draw.